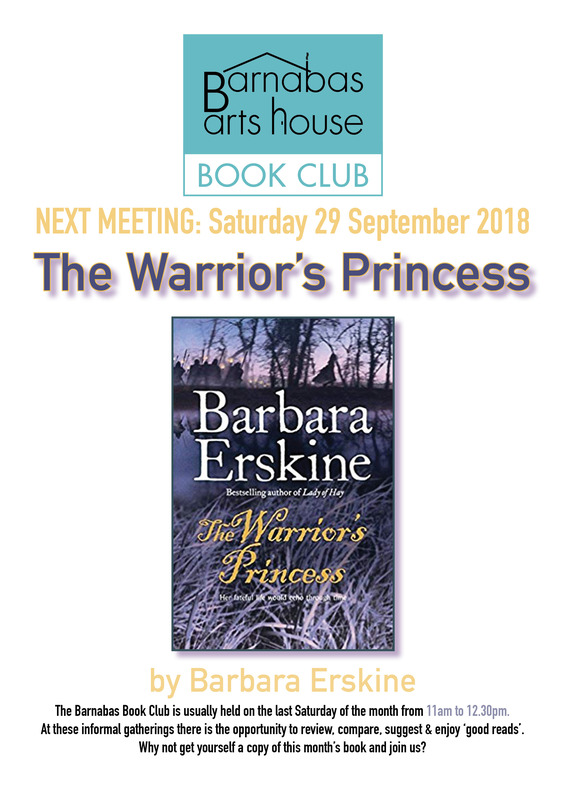 This month’s book is The Warrior’s Princess by Barbara Erskine. We are meeting on Saturday 29th September at 11am. Barnabas Book Club meet monthly, usually on the last Saturday morning of the month. Come and join us in the relaxing atmosphere of Barnabas Arts House’s Upper Gallery/Cafe for informal discussion, debate & review of the selected book.